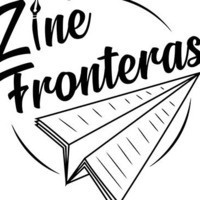 Zine Fronteras is a literary publication by the Santa Cruz Public Libraries looking for unpublished writings, poetry, photography, and art that highlights the experiences of Santa Cruz’s immigrant, LGBTQ+, homeless, incarcerated, and other historically underrepresented communities. All content contributors will receive a free copy of the published book! For Submission Form and Guidelines, please visit www.santacruzpl.org. The artist or writer can either submit by emailing [email protected] or droping it off at the Live Oak Library. Zine Fronteras es una publicación literaria de las Bibliotecas Públicas de Santa Cruz que busca recopilar ensayos, escritos originales, memorias cortas, poesía, fotografías y obras de arte que reflejan las experiencias de las comunidades migrantes, LGBTQ+, personas sin hogar, encarceladas, y otras comunidades históricamente subrepresentadas. ¡Todos los contribuyentes recibirán una copia gratis! Obtén la aplicación y los detalles para tu contribución en www.santacruzpl.org. El artista o escritor puede enviarlo por correo electrónico a [email protected] o dejarlo en la Biblioteca de Live Oak. Politician play dirty to leach the top level. Barack Obama did just that. His policies and recent acts against the will of congress make his actions doubtful. The policies have done more damage to natives than benefit. It will be wise to assume that a change in policies is in order and https://www.nashvillestampedconcrete.com/ will help you in bringing that change.